When Zimpapers, Zimbabwe’s largest media company, announced its half year results two months ago, it reported a US $20,000 loss. Shortly after, the company apparently uncovered an error in its tax accounting for the period and had to adjust the accounts, effectively pulling itself out of the loss all the way up to a US $1.9 million profit. Subsequent to the publication of the Group’s unaudited financial results for the six months to 30 June 2015, a material error in the tax computation was noted. The Group reported a tax charge of $1, 114,649 instead of a tax credit of $834,163. Consequently, a net loss after tax of $20,146 as opposed to a net profit after tax of $1,928,666 was reported. A 5% drop in revenue to US $19.95 million, from $21.01 million in the same period last year. Achieving profitability in such an environment attributed to relentless cost cutting. 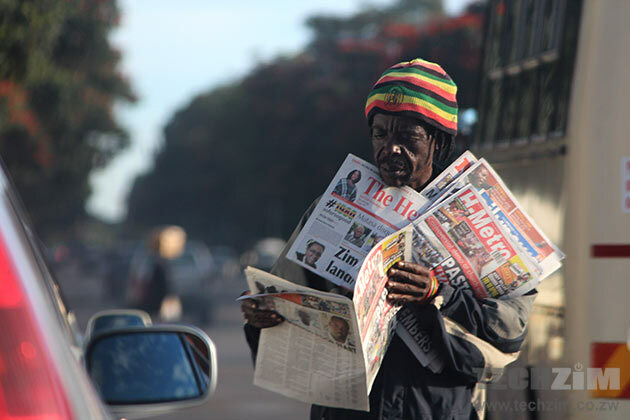 Zimpapers faces the global trend of a reduction in newspaper circulation. A decline they acknowledge in the report. While newspaper sales decline (5% in the period) and consequently, print advertising revenue falls, digital revenue is not picking up as fast to compensate. For example, digital media only contributed 3% to their annual revenue last year. Online, Zimpapers faces a completely different news competition landscape from offline. Offline, Zimpapers competed against a handful of media companies – AMH (the publishers of NewsDay, The Indendent and The Standard), The Daily News and The Financial Gazette – thanks to high barriers of entry that kept the competition out; stuff like printing capital, staff costs, media regulations & licensing. On the internet however, the company faces competition from an excessive number of content producers and platforms, from international news publications covering Zimbabwe like NewZimbabwe.com, other publications not focused on Zimbabwe, a multitude of bloggers, and even social media platforms like Facebook, Twitter and WhatsApp where their readers now share news as it happens around them, mostly cutting out the middleman role that traditional media companies play. Zimpapers also faces the problem of their content being “stolen” by some online aggregation publications like Nehanda Radio. Earlier this year, Zimpapers CTO, Darlick Marandure revealed that content theft practices by such publications have been a constant headache for them. Attempts by Zimpapers to protect their online content from being stolen have been weak at best, and at worst, quite ill advised. The company for example makes it impossible for visitors to right click on its news websites effectively making it hard for good intentioned readers to share their content and grow the readership. Needless to say, content is still being “stolen” because the bad intentioned readers can easily Google how to. In the past year, Zimpapers has launched new web properties which, judging at east by the traffic, are yet to perform well enough to compensate for the print decline. Such sites include include BH24 (business publication), SportsZone ( sports niche) and a new exact-copy digital version of the offline papers site called Zimpapers News Hub. Zimpapers also launched a classifieds site called Zimpapers Classifieds, an attempt to replicate the success the media house enjoyed offline with the same service. This too hasn’t picked up yet. It faces stiff competition from the established marketplace classifieds.co.zw, a company that saw and acted on the opportunity years before Zimpapers even began to take notice of the internet. Other local print publications like AMH have also tried classifieds with similarly lacklustre results. Most of the reason online still fails to pick up is ofcourse the fact that the company has performed relatively well offline and because of it, the print mindset still dominates at the company. This is why there doesn’t seem to be any deliberate sense, even in the results announcement, on improving digital despite them acknowledging a “precipitously” ailing print business. The internet has always looked too small for them and they have let others do it. Others like Classifieds.co.zw, like NewZimbabwe, like the bloggers and the niches that now dominate verticals Zimpapers used to own offline. It’s the classic Innovator’s Dilemma; New solutions for the customer are too niche & small to matter, so young smaller players solve them while the big players ignore. Eventually however, the new smaller players dominate this new solution they have mastered and grow much bigger than the incumbent as its old business declines. An inevitable decline in the print business as well as punishing liquidity challenges likely not going away anytime soon however mean Zimpapers has to find digital growth answers fast. Fortunately, it looks like they know this. The chairman says the company has to “vigorously exploring new revenue streams to mitigate the challenges faced by the traditional products in response to the economic environment”. Whether they can find the answers soon enough or not though, is not clear. That said, compared to their traditional media house peers, Zimpapers is actually performing much better. They have maintained their business while the competition are shutting down publications. AMH for example, shut down the print version of its southern region paper, Southern Eye. The Zimbabwean is also reportedly in the process of shutting down its print version. Zimpapers publishes Zimbabwe’s largest daily newspapers, The Herald, and Zimbabwe’s largest weekly paper, The Sunday Mail. The company also has regional papers, The Chronicle, and Manica Post. All papers have digital version that carry the same news. You can download the half year results here. We might find the answer in their Financial statements, The Statement of Changes in Equity! Well their explanation isnt as easy the reason is no money i used to buy the paper evryday but now just on sun thurs and sat. Wait 20000 loss to 1 million profit methinks that a forensic audit shoyld be put in place errors like that just fo not happen. Either complete incompetence or corruption and thefy caudes this.